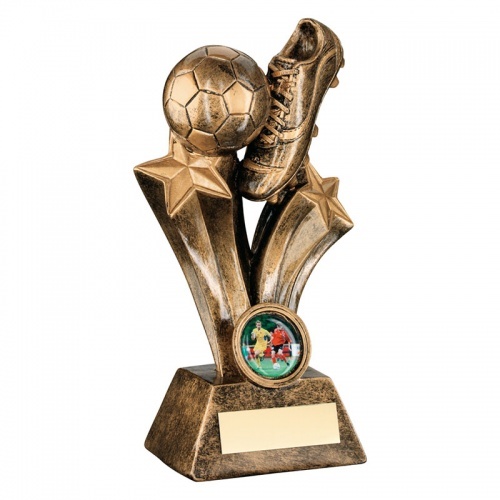 These resin football awards are suitable for a wide range of player prizes and trophies, from top goalscorer to most valuable player or player of the season. Finished in bronze and gold, they feature a football boot and ball set on two curved arcs capped with gold stars. They include a 1in football centre at the foot and are mounted on a bevelled base with engraving plaque.